Yesterday I introduced you to Morocco and today, I will give you reasons to visit Morocco. 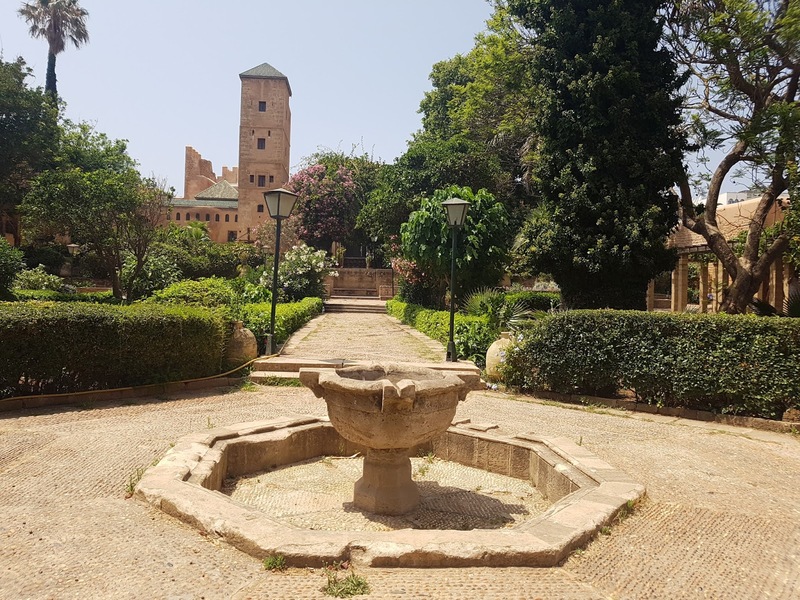 There are plenty of other reasons that you will find to visit Morocco but unfortunately, I didn’t want to stay long enough to discover most of them. If you are a tea lover, this is where you need to start with your visit to Morocco. This is a traditional North African tea made of green tea, spearmint leaves and loads and loads of sugar (no, these are scary quantities of sugar). The tea is served in what we would consider shot glasses for our tequila. This is the most frustrating thing about the tea for me. 2 sips and its game over, you need a refill. I am used to drinking tea from a giant mug till I don’t need anymore. The Mohammed v mausoleum is in Rabat and this is where you will find the tombs of the late Moroccan king and his 2 sons. The mausoleum is painted green and white with the green symbolizing the religion of Islam. 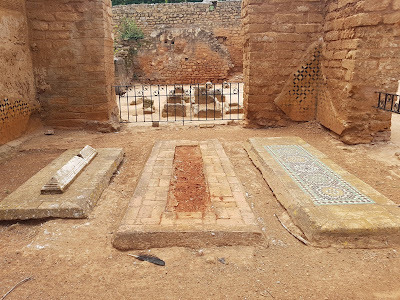 The viewing point of the tombs is above the ground, with military personally guarding around the room, there is usually a Quran reader seated next to the tombs. The Mausoleum is open to the public for free, it is guarded by military men on horses from the entrance who change shifts every 2hours. There is no dress code for visiting the mausoleum, but because you will not be that traveler everyone hates, dress appropriately. The mausoleum is opposite the Hassan towers, that’s what they always tell you. It's on the same property. On one end is the mausoleum on the other being the tower. The Hassan Tower is an incomplete mosque. Construction of the Hassan tower began in 1195 with the intention to build the world largest Minaret. In 1199 when the Sultan passed away, the construction was abandoned. The tower still stands today, incomplete. Museum: an institution that cares for (conserves) a collection of artifacts and other objects of artistic, cultural, historical, or scientific importance – this is according to Wikipedia. Medina is what often gets confused with a Kasbah. A medina is a market. But, in that market, you will also find residential homes. It is also built like a Kasbah from outside if you ask me. Tall giant walls and gates. 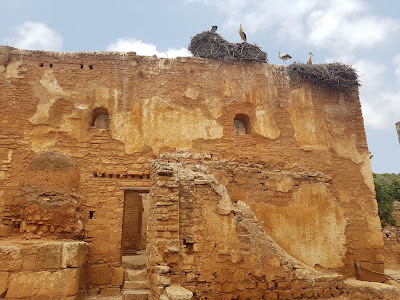 I explain what a Kasbah is below. 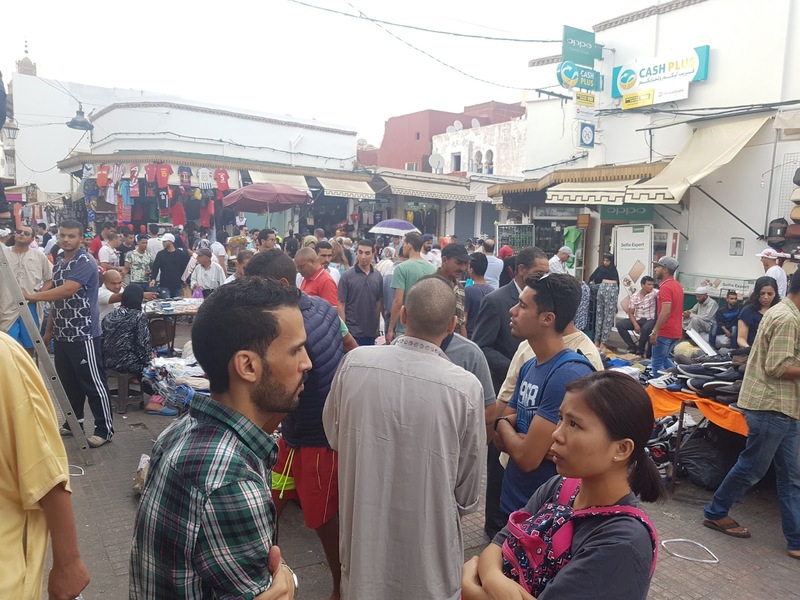 Rabat Medina just before Iftar. Like any market, anything your heart desires you will find available and here negotiating comes in handy because here, you will be scammed like in any other market. 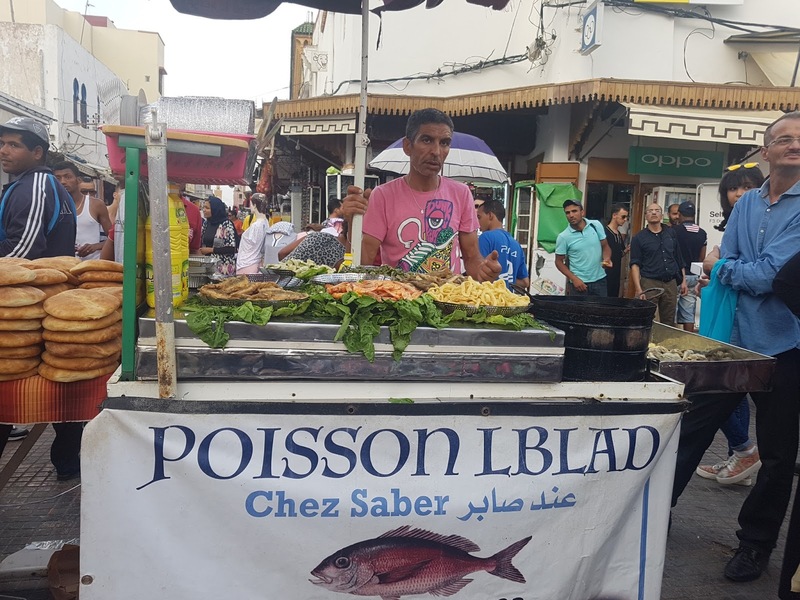 If you really really have to, visit the medina in Rabat. The place is overwhelming, aggressive, loud and there is no order. You will need to clutch tightly to your possessions. This is a serious case of don’t talk to strangers and always look like you know what you are doing and dealing with. As for medina, I will stick to the Tunis one, there’s a lot more order there and it is always fun to explore. A Kasbah is an old town. Kasbahs are usually built like a fort, they have giant walls and large entry gates. This is where a community will live. 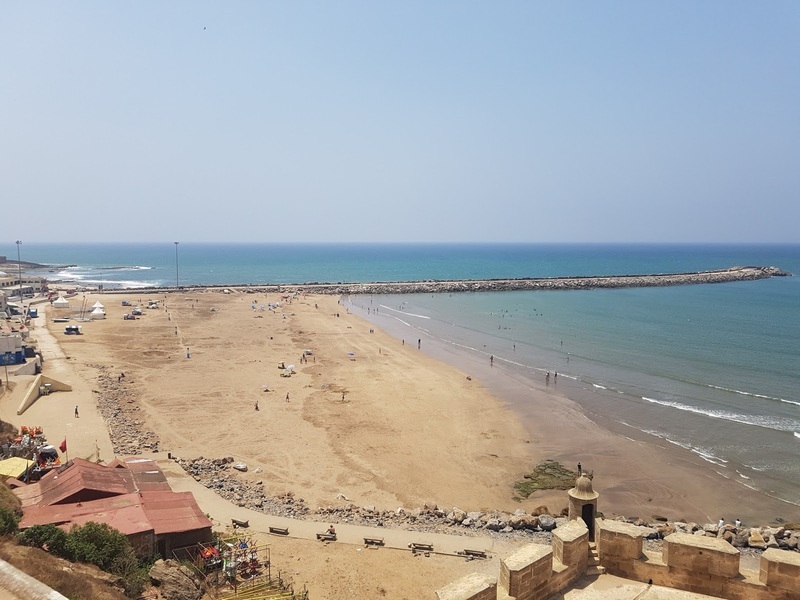 Kasbah Oudaia is an old town in Rabat built on the mouth of the Bou Regreg river and overlooks the city of Sale. The old town is built on a rock above river level. 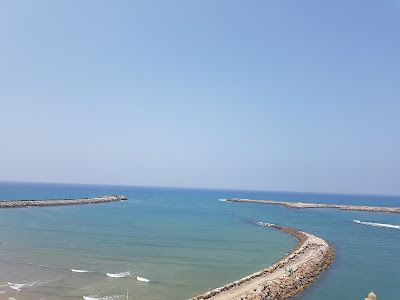 The Bou Regreg river separates Rabat from Sale as it drains into the Atlantic ocean. Like all old towns, the streets are narrow alleyways. 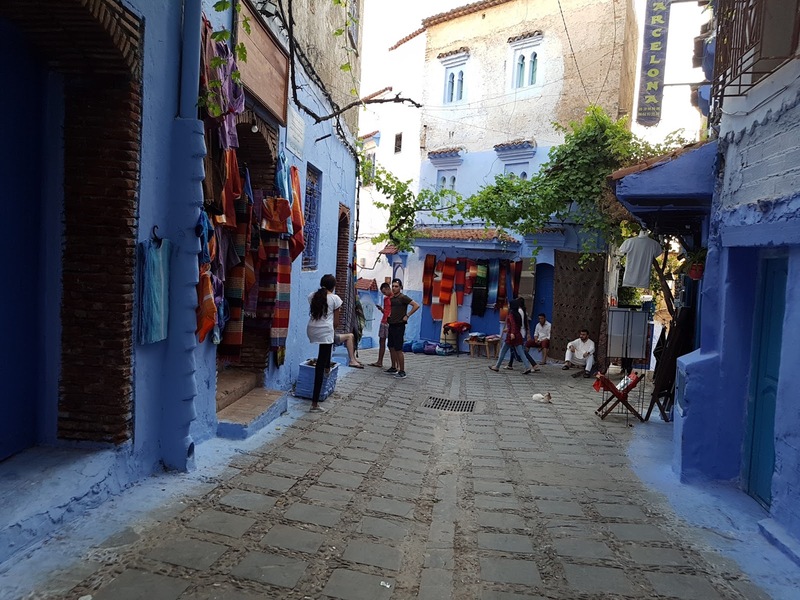 The houses in Kasbah Oudaia are painted blue and white, it is said that the blue paint repels insects. 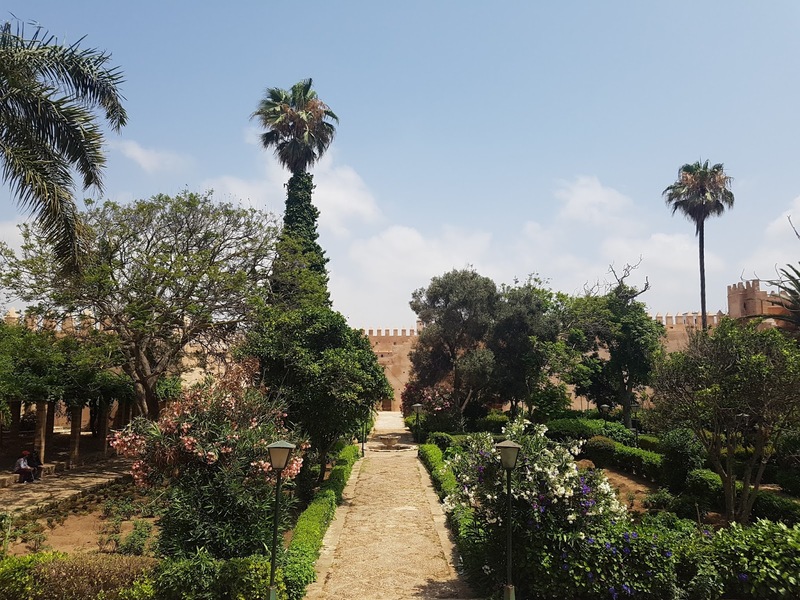 As you walk down from the Kasbah you will find yourself at the fairy-tale Andalusian gardens plated by the French many centuries ago (during colonial times to be exact). The gardens are filled with fruit trees and bougainvillea and here the locals come and rest in the shade. There is a small coffee shop in the gardens should you need refreshments. 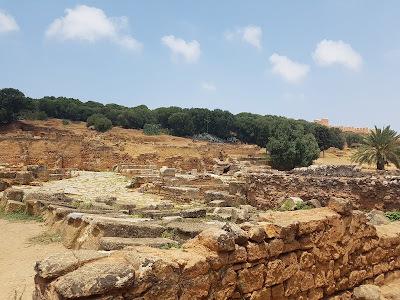 Chella was a Muslim necropolis that turned into a Roman colony and today stands with the Roman ruins in what was the Roman province of Mauritania Tingita. 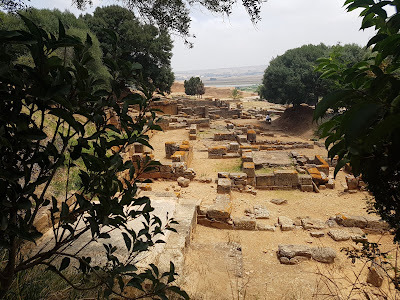 Chella was given the name Sala by the Muslim conquerors of North Africa. The Berber used the site as a royal burial ground, build a complex with a mosque, madrassa, and a school. With beautifully tended gardens, Chella also serves as a nesting place for storks. On the ruins, you will find large nests where families of storks are nesting. They too become part of exploring Chella. A group of stork is called a muster of stork. We have spoken about the beauty of the country that is Morocco. 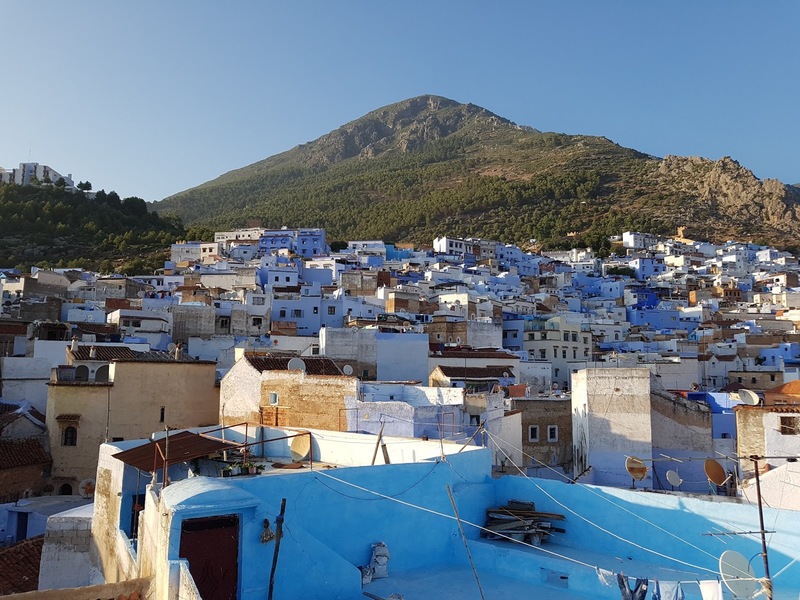 I know most of us have absolutely no fitness levels (myself included) but if you ever get to visit Chefchaouen or what we who have been there like all the locals call it – Chaouen. You have to brave up and go hiking till you get to the grand cascades. This hike takes about 2.5hrs and it really is worth a visit. Even if you cant make it all the way to the top to the large rock pool with the waterfall as I did, there are plenty of other small pools or falls where you can end your hiking journey. Read more on Chefchaouen and hiking the Rif Mountains here. There is something about this city. Every travel blogger seems to have been there. What is it about a community that has decided to paint all their houses in different shades of blue make it so interesting and enticing that makes people want to get excited about this place. Let's get real – and be super honest about this place. It looks amazing on your Instagram. No, you cant walk around in heels so any amazing pic you see of someone in heels it is all aesthetics. But what is it about the place that young people love so much. Morocco is the hashish or hash producing capital of the world. the Cannabis plantations are in the mountains that surround Chaouen. Basically pounded cannabis with the pulp removed. People travel to Chaouen just to smoke hash. Besides that, there is nothing else. There is no reason to travel there for more than 2 days. Although Europeans do go and sit for 6 weeks on Chaouen rooftops smoking this stuff. They don’t come in there. Everyone is stoned. There is no crime committed. Hash is not illegal in Morocco, it is also not legal. I wouldn't advise carrying it anywhere but you can definitely smoke it where you are. Smoking hash is not something that is frowned upon. Moroccan culture is more about smoking than drinking alcohol. I don’t know. I had to try it for myself. 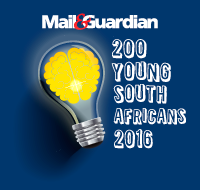 If you keen, you should too. And yes, the hash is worth all the rave in my opinion. But how/where do I buy? Don't worry, just walk. Someone will come offer you some. Should you ever ask anyone for directions and they insist on walking you, it is going to cost you a lot of money. That walk, they need to be paid for and they won’t hesitate to use their religion to manipulate you. Even if its directions to a restaurant, the menu prices that you see will turn to 3 times more because someone needs to get paid. When walking into any place, there will always be a person who wants to guide you and tell you more, do not accept this. Rather report to the offices and find out where to get a registered guide should you really need one. It is usually men that will approach you and they are very aggressive, stay woke. 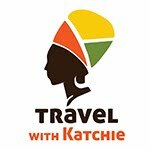 Follow my travel threads and travel advice on Twitter, Instagram, Facebook. #BreakingBorders is sponsored by Simeka Capital Holdings. 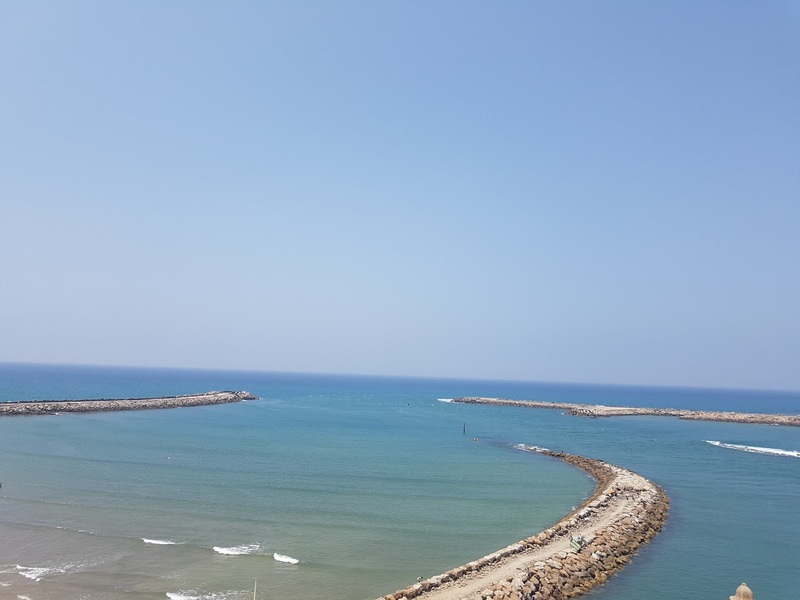 Traveling in Tunisia - on a budget.